EQ has won the ‘Impact Champion’ award in the Discretionary Fund Manager (DFM) category at the inaugural Worthstone Impact Awards. The awards were presented at The Conduit Club in London on Thursday 8 November by Elizabeth Corley CBE, Non-Executive Vice Chair of Allianz Global Investors and chair of the PM-endorsed Implementation Taskforce for Social Impact Investment. The judging panel consisted of Jamie Broderick – Former Head of UBS Wealth Management, Abigail Rotheroe – Head of Impact at Project Snowball, Russell Facer – Managing Director at threesixty services LLP, Evita Zanuso – Senior Director at Big Society Capital and Aine Kelly – Independent Impact Consultant at the Impact Management Project. 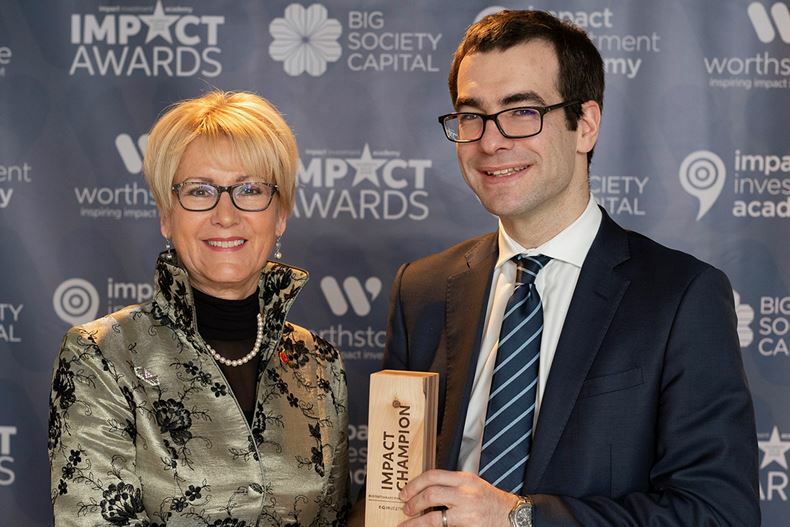 On winning the award, EQ’s Head of Impact Investing Damien Lardoux said: “The calibre of entries to these inaugural awards was incredibly high and to be recognised as a winner is hugely important to us, particularly with a panel of judges so knowledgeable in the impact space. 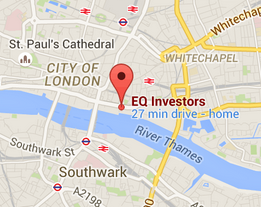 It’s a real testament to the hard work and commitment from the team at EQ. For further information on the EQ Positive Impact Portfolios, download our recently published 2018 impact report.